 Copperwood Apartments offers a great location in our Herriman, Utah apartments. Our community is near Mountain View Corridor and Bangerter Highway so you can easily get around the area. Enjoy the outdoors across the street at Sunstone Park. Enjoy shopping, dining, and entertainment options less than ten minutes away at The District shopping center. A new Smith's Marketplace just opened a couple of months ago accross the street, giving you easy access to necessities. To live in this great area, apply online or come into the clubhouse to schedule a tour. We can't wait to see you. Copperwood welcomes your pet! Our apartments accommodate up to two pets per home, with no weight limit. Additional deposits and breed restrictions apply. Your pets will love it here!